When a hurricane the size of Texas is on a path of destruction, careening directly toward your home, you have two choices: grab what you can and go, or stay. For me, the choice was simple. 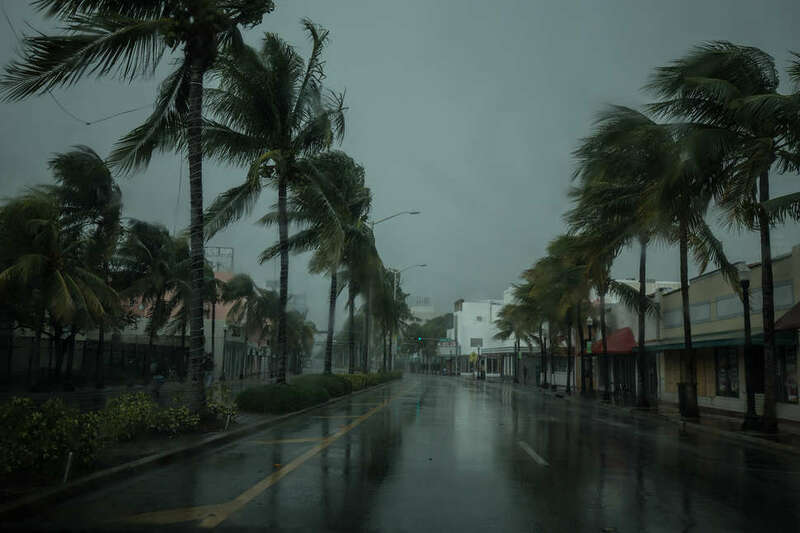 As someone who grew up in South Florida, I am no stranger to the fury of natural disasters. I was 6 years old when Hurricane Andrew devastated my city, school, and the homes of many people I knew. In the aftermath, I gathered supplies to donate to those who lost everything, and walked up and down the rows and rows of tents set up in South Dade, a place we called “Tent City,” a makeshift refuge for those whose lives had been violently upended by winds gusting at over 165 mph. National Guard soldiers marched by me, guns slung over their shoulders. I remember the hum of helicopters flying above, and finding discarded appliances and relics on the ground as I navigated through debris; photos of families, the collar from a lost dog, all scattered across the streets of the only place I had ever known as home. Once you’ve seen the widespread devastation of a hurricane, the notion of staying when others go may seem ridiculous, and in all honesty, it might be. But understanding the compulsion to hunker down and stay in your home requires a deep look inside yourself to answer the question: What matters most to me? There are no timeline guarantees when Mother Nature calls the shots. The possibility of leaving vulnerable family, friends, neighbors, and a home shared with loved ones is something I can't fathom. Considering the option to leave means thinking about who and what I am leaving behind. Is it worth leaving my mother if she does not want to go, or my pets if I can't take them with me? Can I pack what I need in a bag, or do I fill my car with memories and sentiments? Can I even get a plane ticket out of here without going into debt? I ask myself, what am I willing to lose in exchange for my own protection? What if I go and can't get back to take care of my home and the family I left? This last question is possibly the most frightening of them all, because there are no timeline guarantees when Mother Nature calls the shots. Perhaps the biggest reason I stayed is the uncertainty of the whole situation. Hurricanes are unpredictable and the media often sensationalize them for ratings. In reality, no one knows where a storm will hit until mere hours before it is bearing down. What if I had left, and my decision put me more in harm’s way due to a change in course? What if I had left and there was a direct hit and I could have done more to save my family and home? Being a native of South Florida means I have lived a life of preparedness. I know myself and I trust my abilities. Staying means that I've done all that I can to protect the people whom I love and the home that means the most to me. Staying when everyone else leaves means I'm the first to assess and respond to damage at the initial sign of light after the storm has passed. When the world is awakening to the devastation on their TV, I am there, in person, helping my neighbor. We start the rebuilding process (whether physically or mentally) way before federal recovery efforts have begun. Staying means sharing in the strength of a community and being a part of the collective humanity that emerges following destruction; a realization that we’re not that different, and that on a basic level, we all need the same things to survive. Staying means that I’ve done all that I can to protect the people who I love and the home that means the most to me, and I can’t imagine a more rational, sane decision to make. Jacqueline Coleman is a writer & wine columnist living in Miami. You can find her on Twitter & Instagram @HistoryandWine.